The late Roy P. Drachman was the founding father of the Tucson Conquistadores. In the October 23, 1962 Arizona Daily Star, Jim Herman reports on Drachman's first organizational meeting at the El Conquistador Hotel the night before. The 41 business professionals who formed the original Conquistadores were the leaders of their day. Drachman recognized a need in the community, that of "extra-curricular support of deserving athletes as well as other community sporting events". Drachman also noted to the Star “we’ll definitely be a working organization, not an honorary”. He successfully recruited the people who pledged to fill that need. The annual Sports Award Banquet, which had a long, successful run from 1963 through 1994, was the original fundraising event of the Tucson Conquistadores. Other projects included five professional tennis tournaments in 1969, 1973, 1977 and 1980, with champions from Poncho Gonzales to Chris Evert. The group also sponsored the LPGA Open from 1983-1987. In 1966, the Conquistadores adopted the Tucson Open golf tournament. The high-powered group turned the fledging PGA TOUR event into an exciting professional sporting and community event which continued through 2006 raising millions of dollars for youth programs. From 2007 through 2014, the Tucson Conquistadores served as the tournament leadership team and sales arm for the World Golf Championships-Accenture Match Play Championship held at The Golf Club at Dove Mountain. This prestigious tournament featured the top 64 golfers in the world and created an unprecedented opportunity for the Conquistadores to raise record levels of funds for Southern Arizona youth. The tournament was televised in 140 countries and enhanced Tucson’s notability as a premier golf destination. Golf, along with previous Tucson Open stars, returned to the Catalina course at Omni Tucson National Resort when the Conquistadores hosted the PGA TOUR Champions beginning in 2015. The Cologuard Classic is scheduled February 25 through March 3 in 2019. The Conquistadores has an active membership of up to 60 business and community professionals and a total membership of 215 who represent a cross-section of the Tucson community. True to its charter, the Conquistadores remains a working organization. 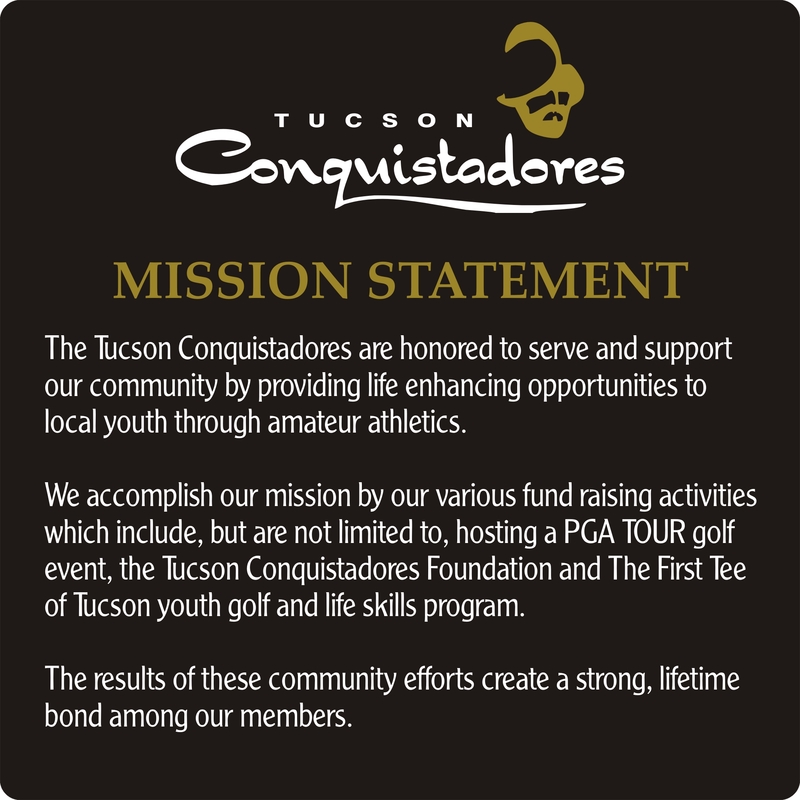 In addition to its professional golf activities, the group has established the Tucson Conquistadores Foundation. The Foundation’s goal is to build an endowment fund that will generate guarantee funds for the future. The Conquistadores has made a difference in thousands of individual lives. Over $33 million has been raised for youth programs. At its monthly funding request meetings, a committee reviews requests and grants funds to individuals and to organizations. 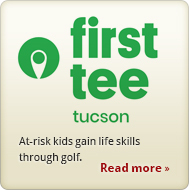 Key beneficiaries of the Conquistadores' fund-raising efforts are The First Tee of Tucson, Tucson and Pima County Junior Golf Programs, the Field of Dreams/Challenger Little League sports complex, Boys and Girls Clubs in Tucson, Sierra Vista and Nogales, Pima County Special Olympics, Educational Enrichment Foundation, Tucson Urban League and the YMCA.